Coming from a life of early childhood trauma, and having to keep silent for fear of what would happen if I spoke my truth, it took a lot of courage for me to overcome my fears and speak up for myself. I had to learn how to boldly communicate in order to embrace the life I live today as a sober mother, speaker, author, and advocate for those who have experienced childhood sexual abuse, trauma, and addiction. It took several years of relentless, in depth soul-work with a counselor, and a 12-Step group, to decipher what it was that I needed say in order to take back my life! Before my ‘soul work’ asking for help caused me great anxiety and making decisions made me feel weak, vulnerable, and exposed. Fear of being judged caused even more anxiety because my emotional wounds were still so raw. I constantly felt wide open to verbal attacks from anyone who misunderstood what I was trying to do or to say. Being courageous under extreme duress was all I had at one time in my life, and at times, still is, but I had to fight to stay strong in silence as I struggled through basic life skills. When denial was no longer working as a protective armor to indecision, I had to take a serious look at my life. The great unveiling of ‘who Rebecca was’ could have been featured on America’s Dirtiest Jobs. I had to excavate all the rancid thinking, discard the rotten ideas of how I was unworthy of happiness and success, and eliminate the emotional sludge from stagnate waters. During this roll-up-the-sleeves-soul-cleanse, I was able discover the brilliance of my unearthed self. The intense cleaning altered my life so that I could confidently jump off the fence of indecision. Before committing to deep rooted change, I went over the non-negotiable ethical and moral codes that could not be jeopardized in my quest for a spiritual cleansing. On one side of the fence I saw fear, procrastination, lack mentality, and limitations. On the other side, I saw expansive connections, limitless opportunities, unbounded creativity and a cornucopia of desire waiting to be fulfilled. All I needed was the courage to leap from the known into the unknown. I was willing to endure the free-fall of life, with unwavering faith, so the omnipotent force that holds the stars in the sky could unveil the plan for me that was so much better than just sitting on the fence. 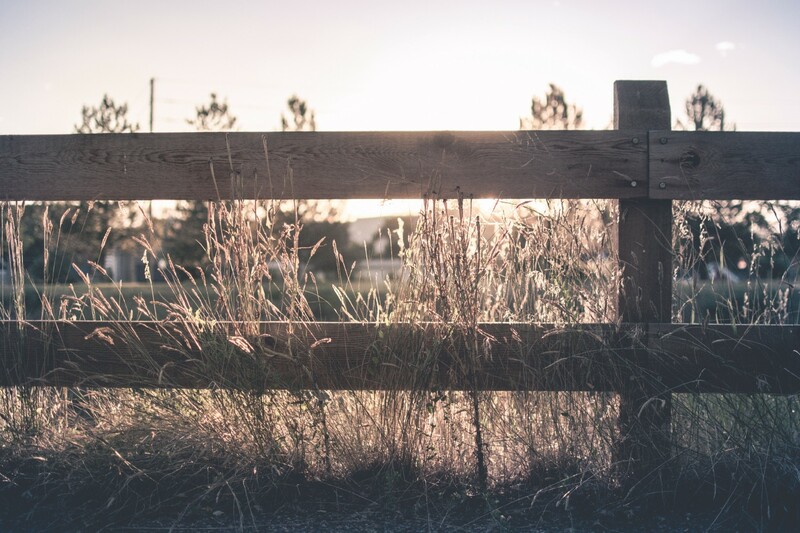 Eventually, I jumped off the fence fully embracing the unknown where Universal wisdom exalts my spirit from the dusty doldrums of fear, procrastination, and indecision. The value I place on my own self-worth sets up the pattern for how others will treat me and how others will respond to what is important in my life. The more open, confident, and articulate I am in digging deep to reveal what it is that I truly need form both my personal and business relationships, chances are that the right people will hear what I am saying and strive to meet me where I stand. Because of the work that I have done, I stand where words and actions are in alignment giving me the ability to make clear decisions. I move forward in confidence and I am ready to occupy my new conscious space of personal growth-off the fence!